This pocket-sized guide to eight historical walking tours of Downtown Montreal is the perfect vacation souvenir and visitors' guide. Each walking tour takes approximately 2½ hours, and introduces a different aspect of downtown: Peel Street, the Underground City, Chinatown, and more. The hotel room where John Lennon and Yoko Ono composed "Give Peace a Chance." 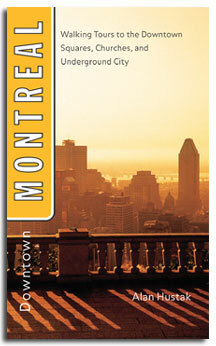 Alan Hustak has been writing about Montreal for over thirty years. He is a journalist, and author of Saint Patrick's of Montreal: The Biography of a Basilica and Titanic: The Canadian Story.